A project underway at Texas Christian University is recording the voices and stories of those who've lived through the Civil Rights Movement in Texas. Max Krochmal is the director of the project, "Civil Rights in Black and Brown." Listen to the interview with Max Krochmal. ...on the reasoning for the project: When you look to history generally, most of the sources that we get are produced by elites, by white elite men, and those are the sources that are created, that are preserved, that are archived, that are handed down. What that means is that when we try to reconstruct the past, we have a very narrow source base. The purpose of oral history generally is to democratize the record by going out and creating new sources from folks who are marginalized and whose histories otherwise would go unrecorded. 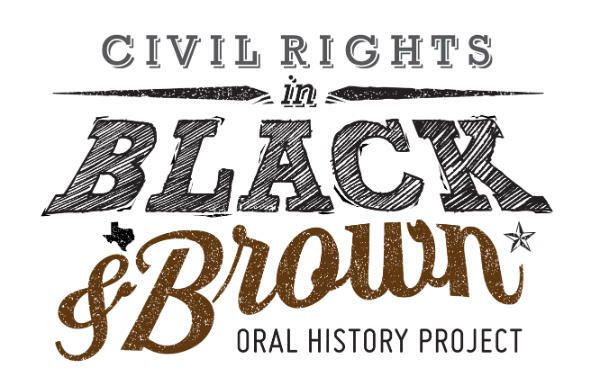 "Civil Rights In Black And Brown" does that with a particular focus on the long African-American and Mexican-American liberation struggles in Texas. ...on Dallas' Robert Medrano's recollection of the Brown Berets: The Brown Berets got their start in Los Angeles, and my understanding is that Francisco Pancho Medrano, who is Robert's dad, brought the idea back to Dallas from work he was doing in L.A. He was an organizer for the United Auto Workers in their citizenship department, and was out in L.A. assisting the Chicano movement there. He saw the Brown Berets, a group of the youth in that city that were helping to advance the struggle, and he brought the idea back to Dallas and shared it with his kids. And then simultaneously other people did kind of the same thing: They saw the example from a distance and formed their own Brown Beret chapters really all over the state and the Southwest. ...on what's next for the project: We've done the bulk of our field work. Believe it or not, we feel like we have places when haven't been to, places we've missed, so we'll try to chip away at that some. And we also, of course, will continue to add information to the website. We're adding this as quickly as we can, we still have several hundred interviews to get up there, and we're also archiving the full interviews on the Portal to Texas History at UNT for anyone wants the whole raw material, and we're taking the show on the road. We've been doing different conference presentations, and I think our hope is that once the website is [developed] a little further, we'll be able to go and present in some of the local communities that we've conducted interviews in, and we're also burning copies of the interviews and DVDs and sending to all of the people we interviewed and staying in touch with them. I'm about to send out a round of Christmas cards. Max Krochmal is a professor of history at Texas Christian University.